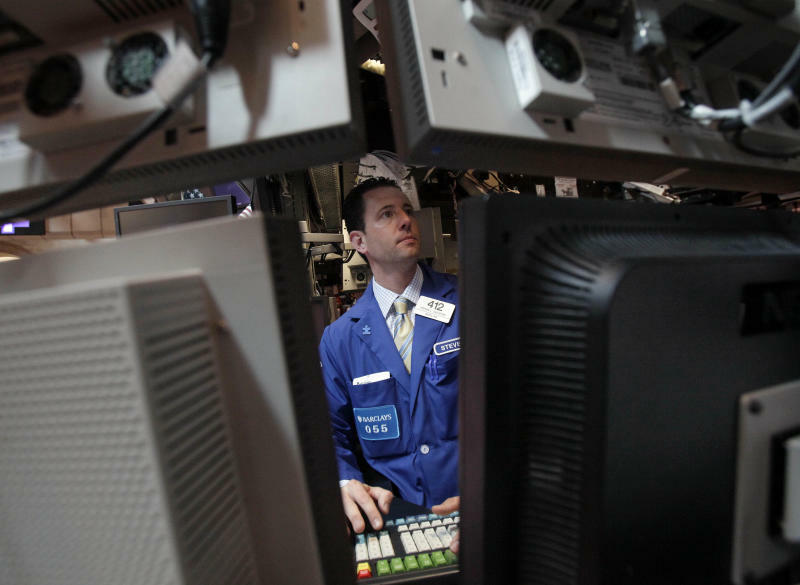 NEW YORK (AP) — Slightly better economic growth and stronger housing sales nudged the stock market higher Wednesday. The Dow Jones industrial average managed a four-point gain. The U.S. economy expanded at a 1.7 percent annual rate from April through June thanks to rising consumer spending and exports. That's an improvement from the initial estimate of 1.5 percent, but not enough to put a dent in the unemployment rate. The National Association of Realtors said its index of sales for previously owned homes increased 2.4 percent in July, reaching its highest level since April 2010, the last month buyers could qualify for a federal tax credit. "It's a mixed message overall," said JJ Kinahan, chief derivatives strategist at TD Ameritrade. "We all know we need 2 percent (economic) growth. And you can't continue to improve on housing if the unemployment picture doesn't improve. At some point, the numbers have to match." The Dow added 4.49 points to close at 13,107.48. The Standard & Poor's 500 index added 1.19 points to 1,410.49, while the Nasdaq composite index gained 4.05 points to 3,081.19. Crude oil lost 84 cents to finish at $95.49. Hurricane Isaac made landfall Tuesday night, but its heavy winds and rain aren't expected to cause extensive damage to oil production and refinery operations in the Gulf of Mexico. Markets have slipped into a late-summer lull. Indexes have barely budged amid some of thinnest trading days this year. After three days of minuscule moves, the S&P 500 index is down less than one point for the week. Just over 10 billion shares have been traded on the New York Stock Exchange over the past four sessions, the slowest stretch since the last four days of 2011. One measure of stock-market volatility, the Vix, recently sank to a five-year low. Kinahan said the market's apparent lack of direction makes sense, especially ahead of the Labor Day weekend and a highly anticipated speech by Federal Reserve Chairman Ben Bernanke on Friday. "There's no incentive to take a big trading position," he said. "Many people I know plan on taking a three-day weekend or are just coming in for the speech to see if (Bernanke) says anything interesting or market-moving. If not, they're outta there." — WellPoint, the second-largest health insurance company in the United States, jumped $4.41, or 8 percent, to $61.80 after its CEO resigned. Investors had been frustrated with Angela Braly because of disappointing results. — H.J. Heinz posted a 14 percent jump in quarterly net income, driven by higher prices and emerging-market sales, but revenue fell and missed Wall Street expectations. Heinz stock dropped $1.29, or 2 percent, to $56.12. — The clothing store chain Jos. A. Bank posted stronger sales and revenue than Wall Street expected, and its stock soared $5.81, or 14 percent, to $47.44. — Sealed Air Corp., a food packaging company, jumped 12 percent, the S&P 500's biggest gain. A former Dow Chemical executive will take over when its current CEO retires. The company's stock gained $1.58 to $14.58. Does Market Volatility Impact Kiriacoulis Mediterranean Cruises Shipping S.A.'s (ATH:KYRI) Share Price?